The Filestack SDK can simplify the process of uploading and serving files within Android apps. 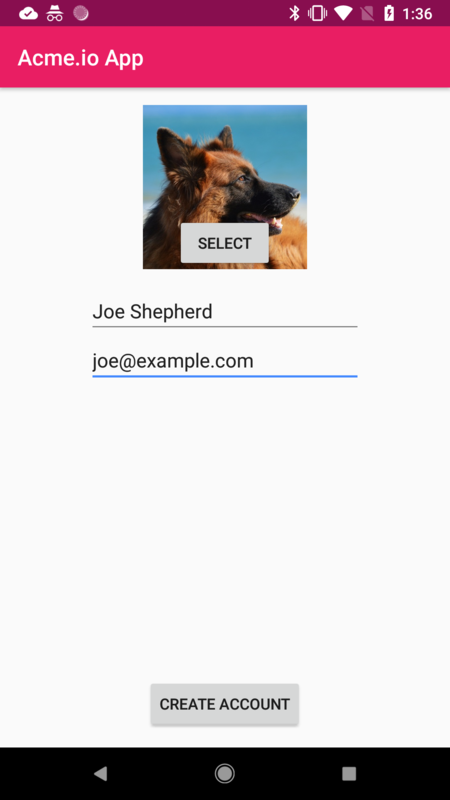 This tutorial will walk you through integrating Filestack into an account creation form, using the SDK to upload and serve profile images. The details of the base app are omitted here, but the full source code is also available. Refer to the SDK repo for full installation and configuration instructions. This is the account creation form we’ll be working with in our example. When the user taps the “Select” button, we want to display the picker. To do so, let’s define the following method that’s called for the button’s onClick event. The method does some configuration then starts the FsActivity class. In this example we’re using an account without security enabled so we’re only passing in an API key and OAuth URL. The URL is used when users authorize access to cloud accounts. We’re also restricting file selections to only images. 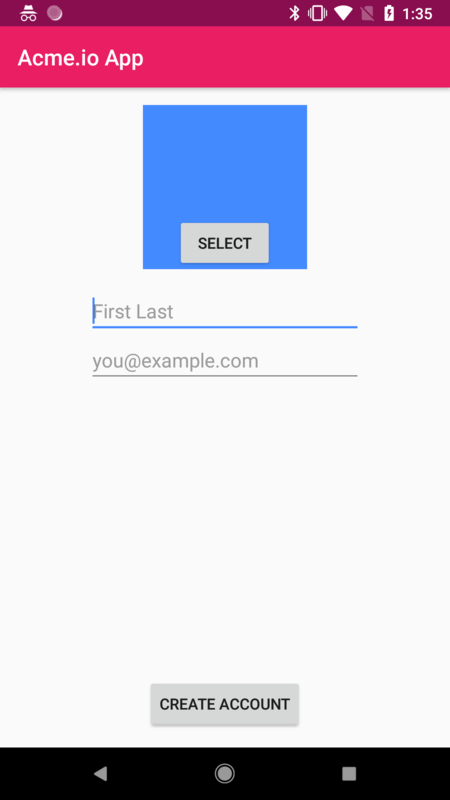 This is now what the user sees after tapping “Select”. After the user selects a file to upload, the SDK automatically begins uploading the file asynchronously in a background service. 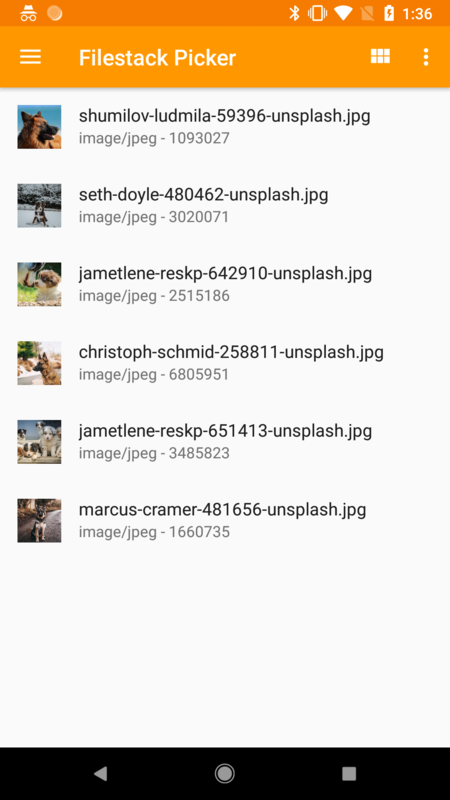 The SDK asynchronously uploads user selections and returns the resulting metadata using Android system broadcasts. This is similar to the pub-sub design pattern. You need to register a broadcast receiver to subscribe to upload events from the SDK. You can define and register a simple broadcast receiver inside your MainActivity. Notice we both register and unregister the receiver to prevent memory leaks. Once the FileLink is received by the broadcast receiver, we can generate a URL and load it into the ImageView. In this example we’re generating a transformation URL that returns an image resized to fit the pixel width and height of our ImageView. This reduces bandwidth usage and download delays. The following code snippets retrieves the FileLink in a Fragment’s onResume method.